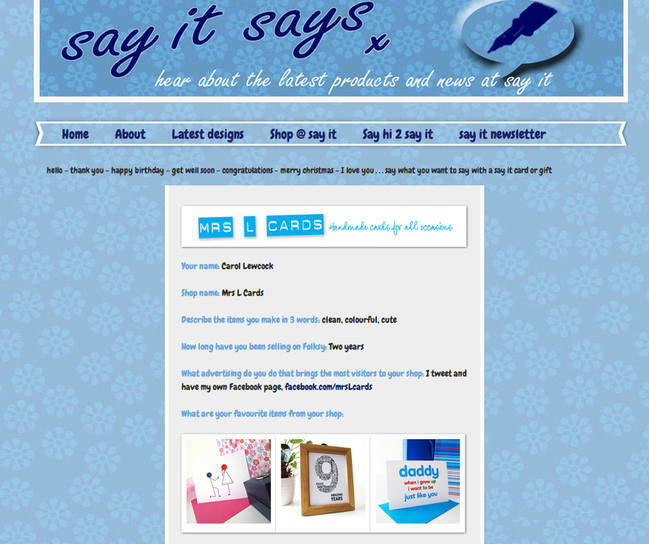 mrs L cards have featured in some great email promotions and blogs. 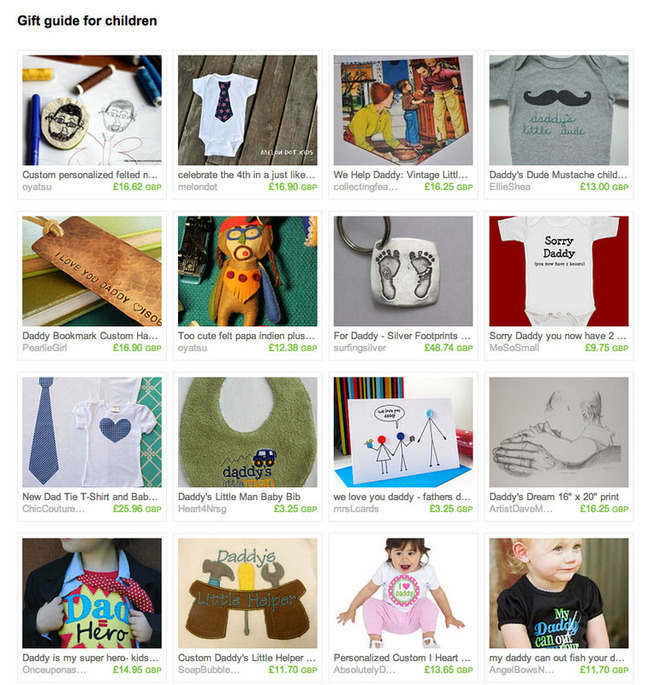 "Etsy Fathers Day Gifts Guide" June 2016. "Create Wedding Gift & Ideas" blog post June 2016. "Create Mother's Day Picks" blog post March 2016. "Girl Running Late" blog post November 2015. "Inspiring Independents" interview on Piccadilly Lane in July 2015. The Card and Gift Network blog "16 amazing Father's Day cards to make dads day" 2015. The Guardian Start Up of the Year April 2015. 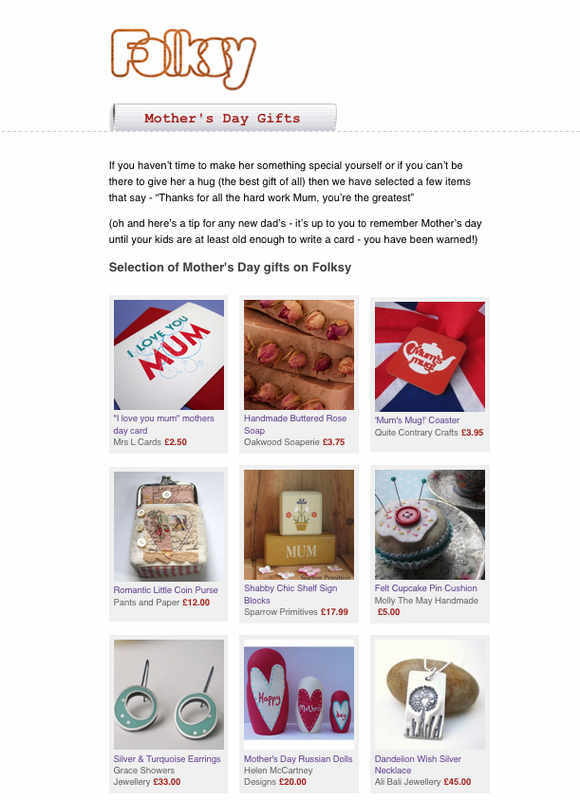 Dads tokens card featured on homepage of Greetings Today March 2015.
and Gift Blog February 2015. Designers Interview Homepage PureNChic website February 2015. PureNChic Designers Interview January 2015. Childs first Christmas bauble (bottom middle) featured on Not on the High Street "Gifts for Chidlren"
All I want for Christmas is You card (top right) featured on Etsy Treasury November 2014. 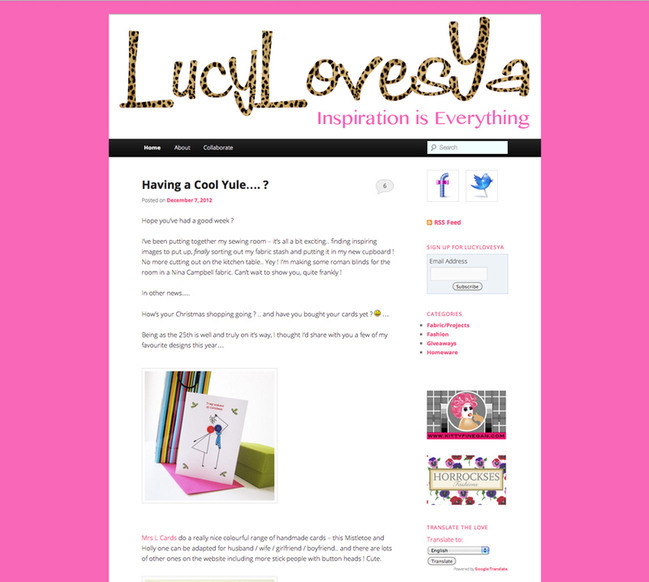 Christmas Greetings" Card and Gift Blog November 2014. Childs first Christmas bauble featured on "Baby's First Christmas" Card and Gift Blog November 2014. Greetings Today online article November 2014. Personalised anniversary card (right) featured on Not on the High Street emailer July 2014. Living North magazine, February 2014. News Guardian website, December 2013. BDaily Business website, December 2013. Create 12 Days of Christmas Promotion, December 2013. 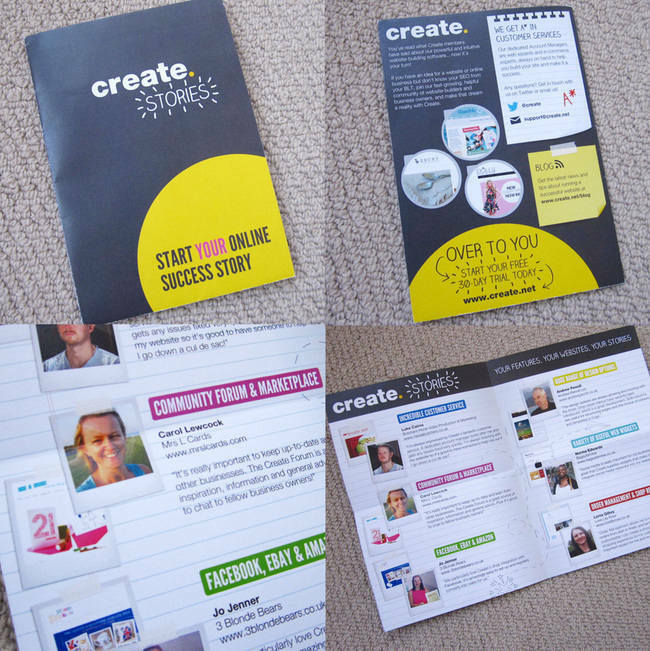 The Create Site of the Month, November 2013. 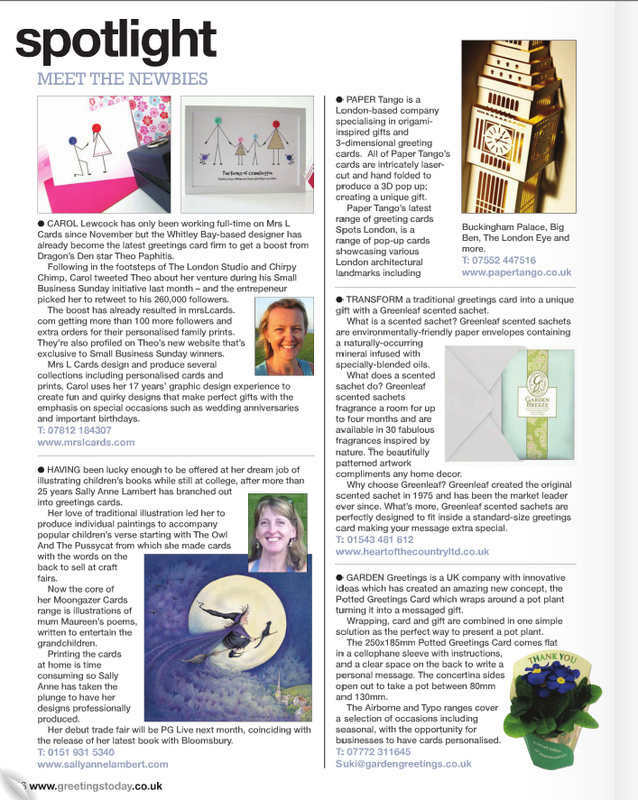 The Road Less Travelled, an interview featured on UK Handmade, August 2013. 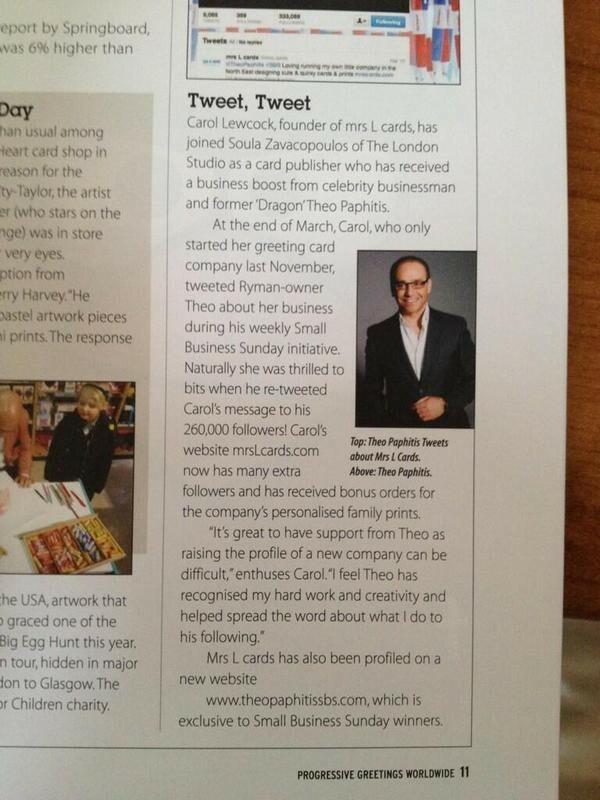 Meet the Newbies page in Greetings Today magazine, April 2013. News page in Progressive Greetings magazine, April 2013. 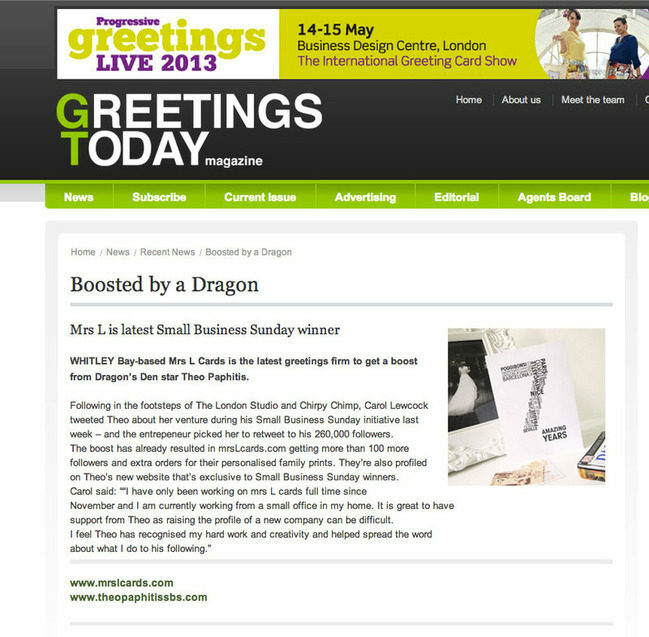 News page on Greetings Today website, March 2013. 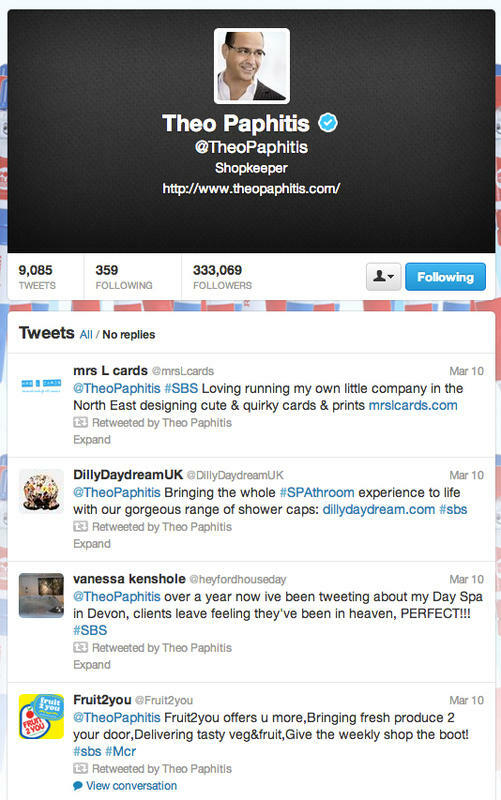 Retweet from Theo Paphitis on 10th March 20123. Mistletoe Christmas card on the blog Lucy loves Ya. 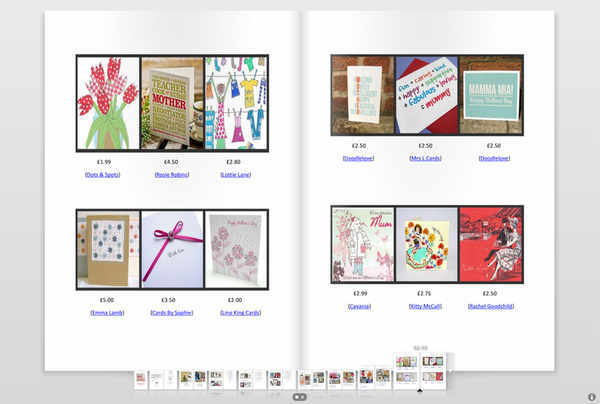 mrs L cards website inside the Create brochure. We love you daddy fathers day card featured on Etsy's Gift Guide for Children. Spotlight on mrs L cards on the blog Say it Says. 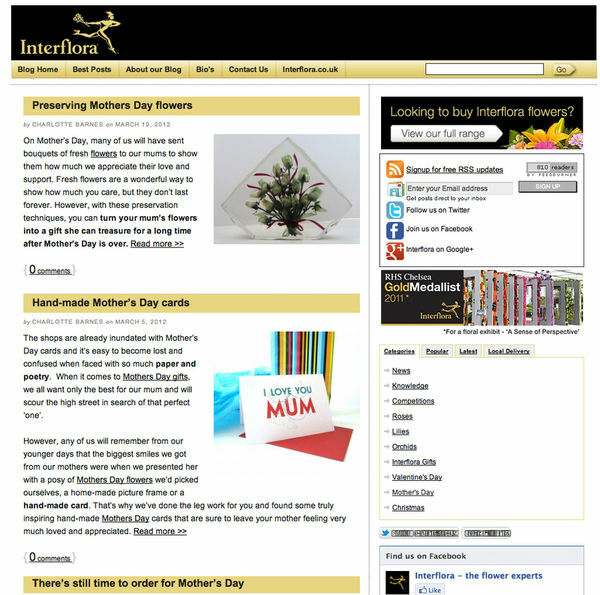 I love you mum mothers day card featured on the Interflora blog. Just like you mothers day card featured in the April 2012 issue of Craftseller Magazine. 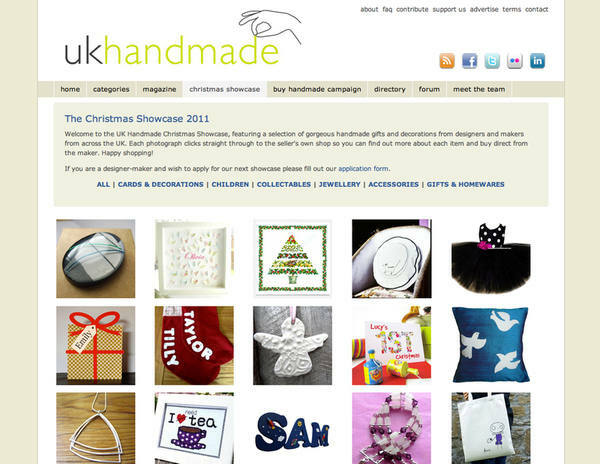 Childs first Christmas card (right) featured in the UK Handmade Christmas Showcase 2011. 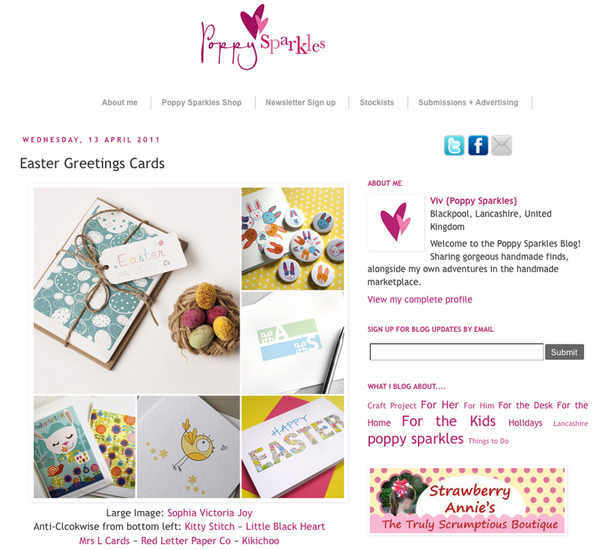 Baby bump card (left) featured on Not on the High Street emailer "Whats New". 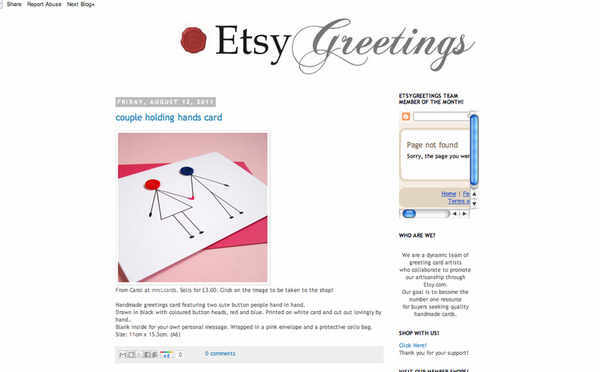 Button couple card (left) featured on the Etsy Greetings emailer. 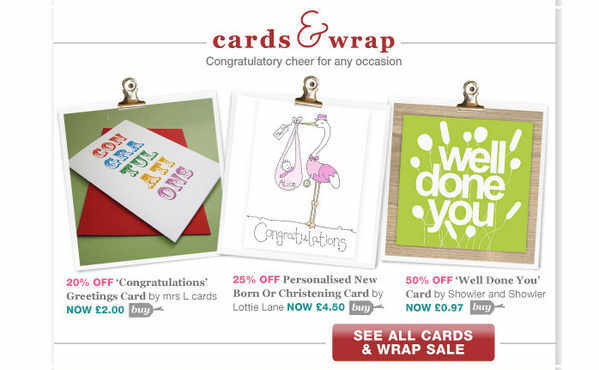 Congratulations card (left) featured on Not on the High Street emailer "Sale". 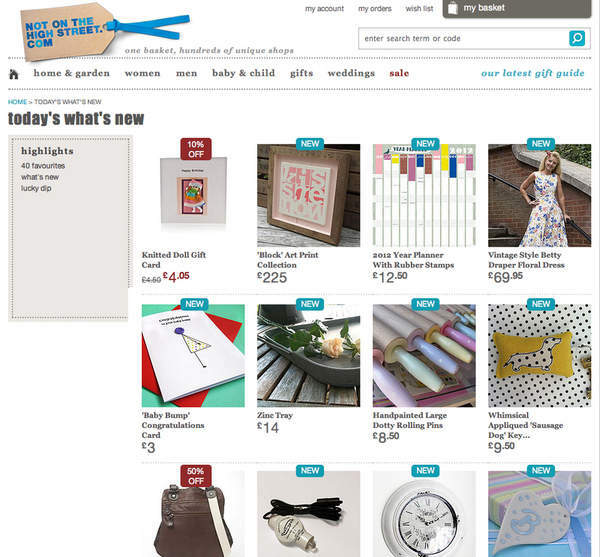 Big day card (bottom left) featured on Not on the High Street emailer "Whats New". 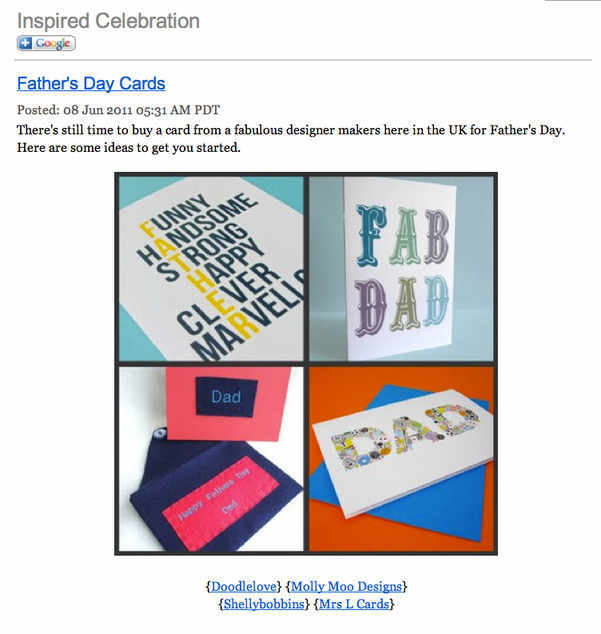 Dad card (bottom right middle) featured on Inspired Celebration emailer "Father’s Day Cards". Happy Easter card (bottom right) featured on Poppy Sparkles blog for Easter. 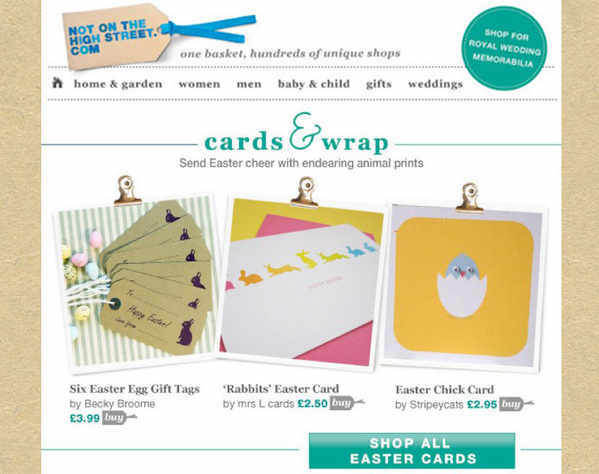 Rabbits card (middle) featured on Not on the High Street emailer "Easter". 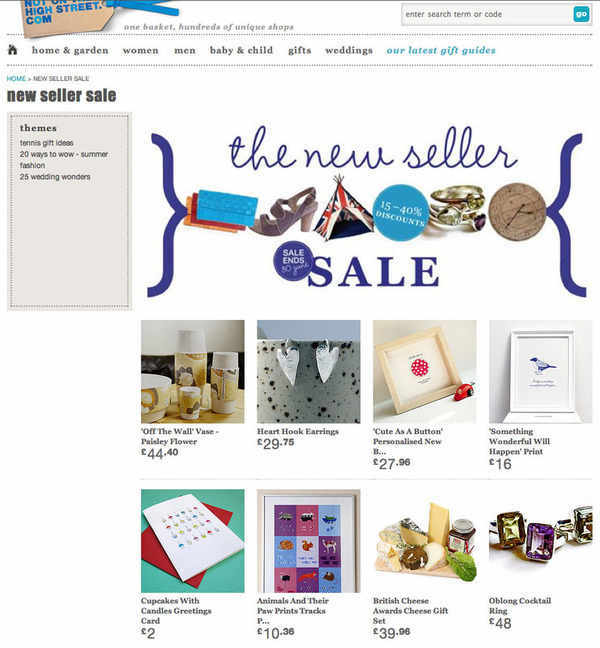 Cupcakes card (bottom left) featured on Not on the High Street emailer "Sale". 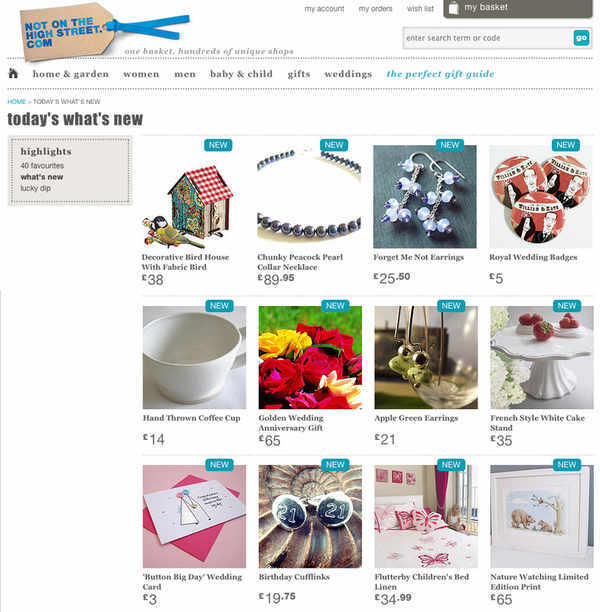 Mummy card (top right middle) featured on Inspired Celebration emailer "Mother’s Day Gift Guide". Mum card (top left) featured on the Folksy emailer "Mother’s Day Gifts".